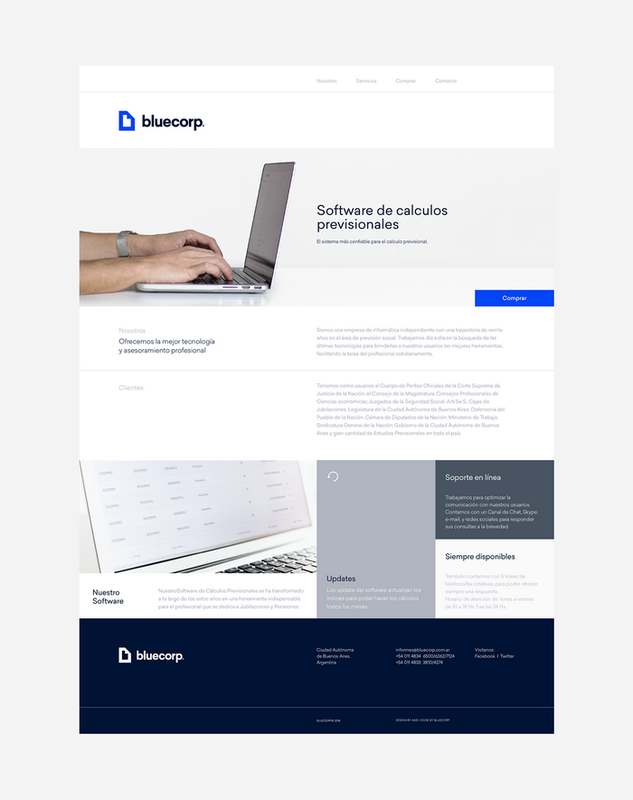 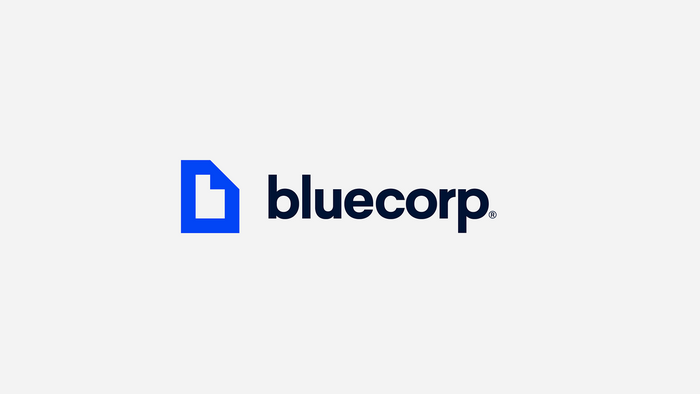 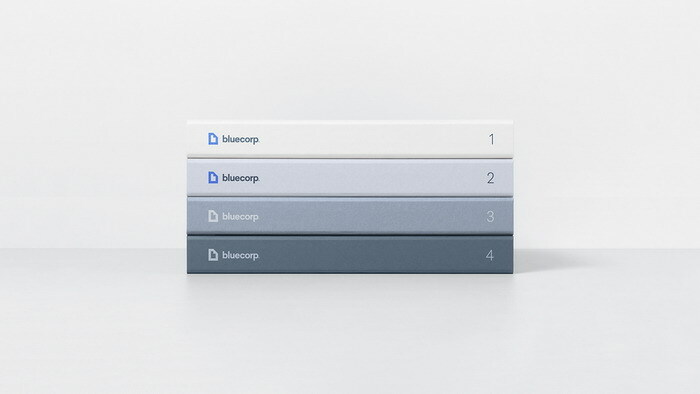 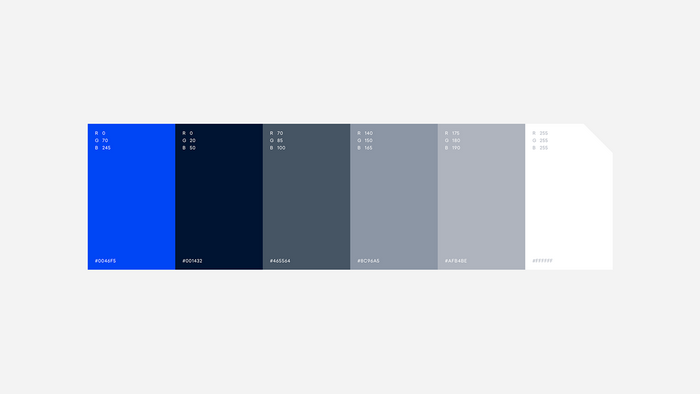 We were asked to redesign Bluecorp's visual identity, along with their website and software UI look & feel. 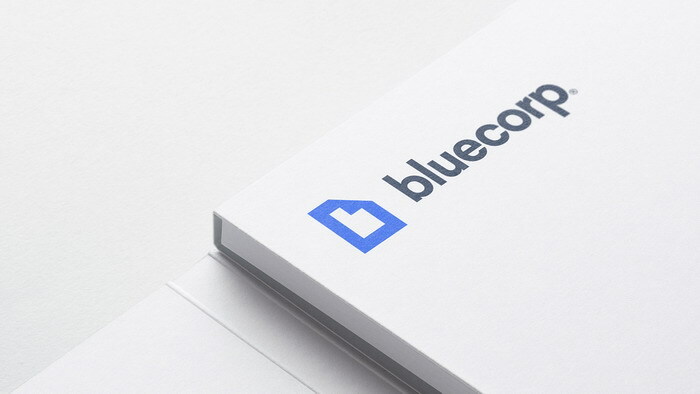 Bluecorp is an independent IT company with a twenty year track record in the social security accounting area. 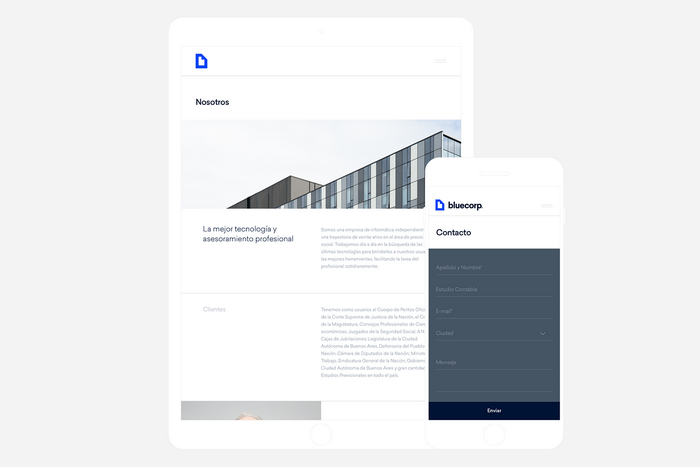 They work every day in the search for the latest technologies to provide their users with the best tools to digitalize and manage clients files and cases, facilitating the task of professionals on a daily basis. 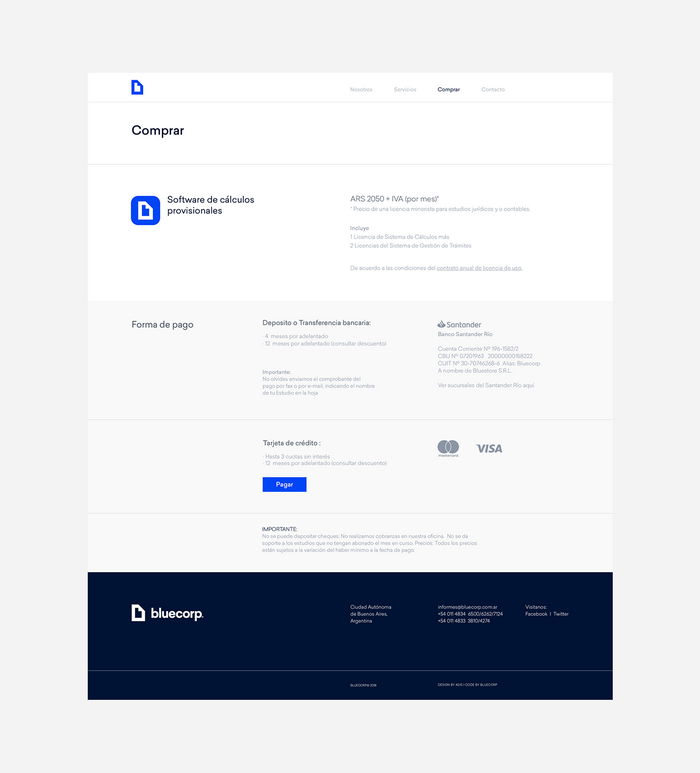 Their software has evolved over the years into an indispensable tool for professionals dedicated to Retirement and Pensions accounting. 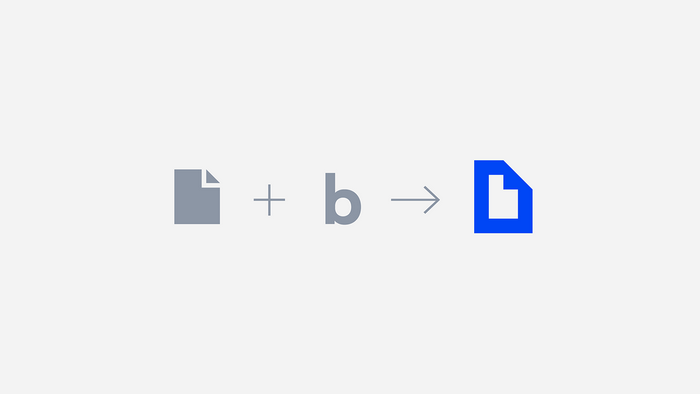 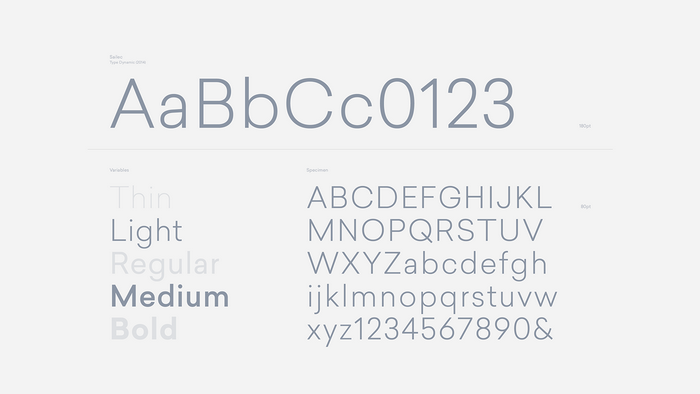 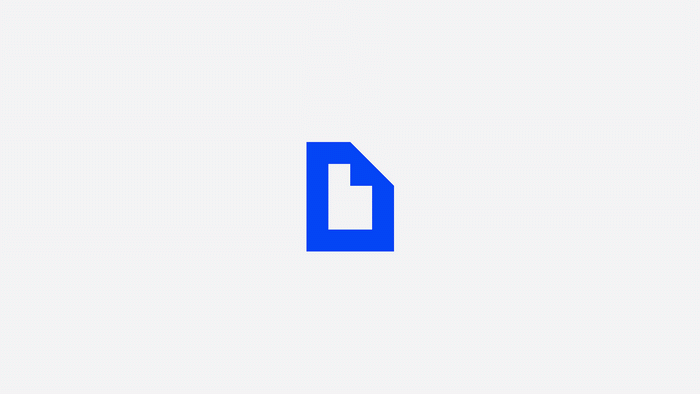 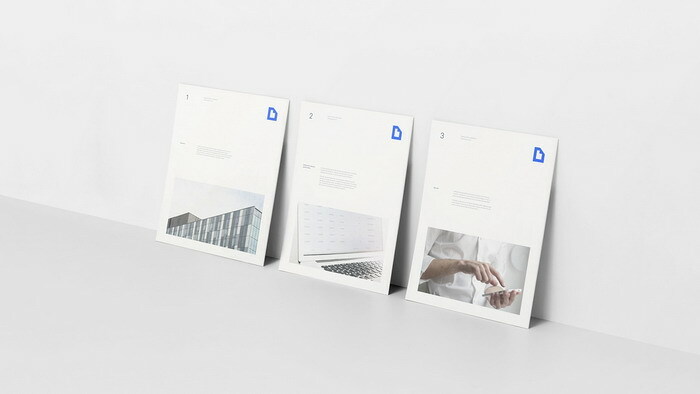 We developed a very clean and simple visual identity that relies on grid-based modern typographic layouts, a color palette of blues and a cool greyes, and a distinctive isotype that combines the popular file icon image with the "b" letter shape in its counter-form.